Fungi of Australia Volume 2B is an essential reference for taxonomists working on Australian fungi, and anyone who wishes to use up-to-date names of Australian fungi. 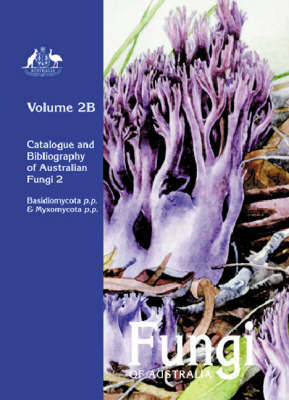 Together with its companion volume, Fungi of Australia Volume 2A, it gathers all the names applied to Australian macrofungi and provides the up-to-date accepted name for each species, along with a comprehensive listing of relevant literature. Volume 2B covers the larger fungi in the Basidiomycota, along with the larger Myxomycota. Groups dealt with in this volume include bracket fungi, slime moulds, puffballs, earthballs, earthstars, stinkhorns, birds nest fungi, coral fungi, jelly fungi, polypores, and stereoid, corticioid and thelephoroid fungi.